*Review the terms and conditions of this program here. 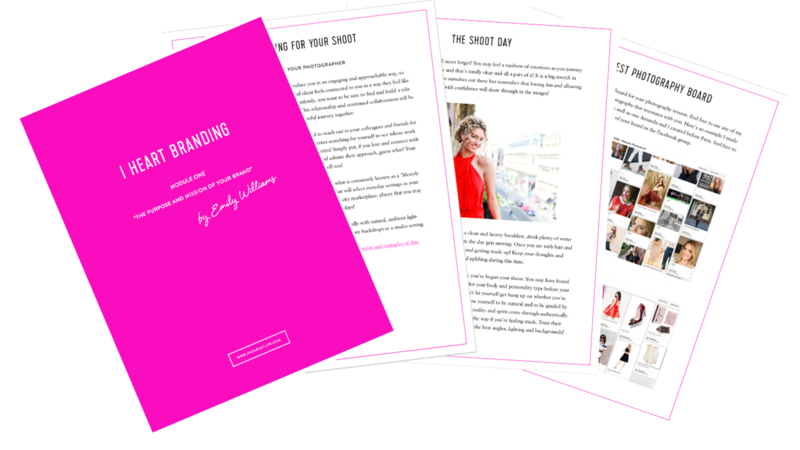 The truth is, there are quite a few elements to a powerful, stand-out brand, and I’m going to share them with you in this course. As a BONUS, you’re also going to get access to my exclusive Photoshoot Guide! Register now to get immediate access to your materials. You can go at your own pace, and the training is here for LIFE!